This must be what it feels like to shop Mansur Gavriel. The perfect sneakers were within my grasp, checkout complete and credit card payment processed. And, then, the soul-crushing email: "We're sorry. The item you ordered is out of stock." Nooooooo! A tad dramatic? Perhaps. 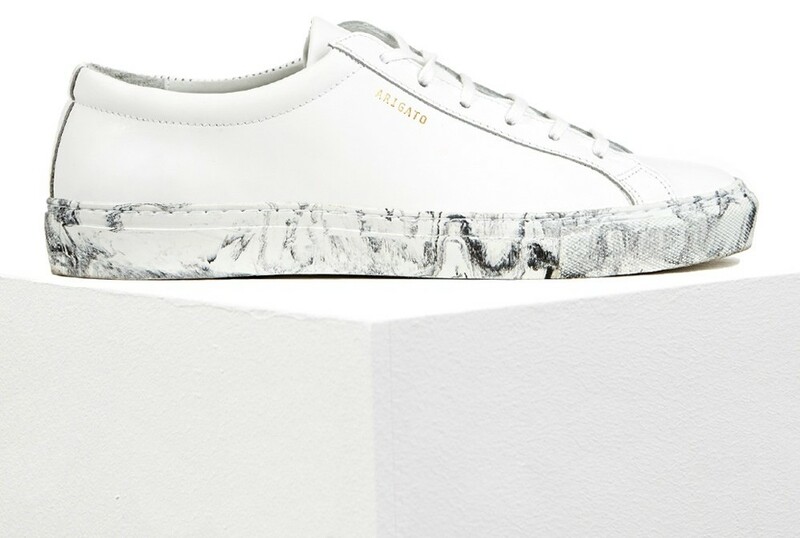 But I'd been eyeing Veja's unisex marble Esplar sneakers—a collaboration with Diapers and Milk—for spring. It seemed I'd waited too long to place my order until I finally managed to track down the last pair in my size from a Belgian boutique. Except, of course, I hadn't. Womp, womp! 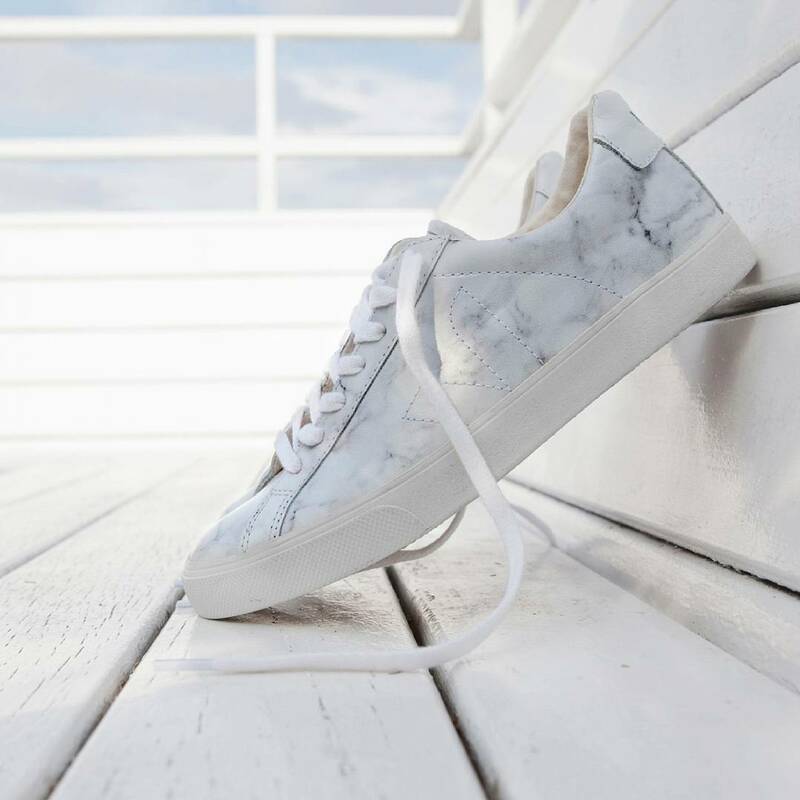 My top choice by far, the sneaker that even comes close to matching my beloved Vejas in style and quality, is Axel Arigato's white low sneaker with its standout marble sole ($185). Who cares that it's made for men? Oh, wait, I do, since the smallest size available is a 39. Big-footed ladies and gentlemen, however, you are in luck! 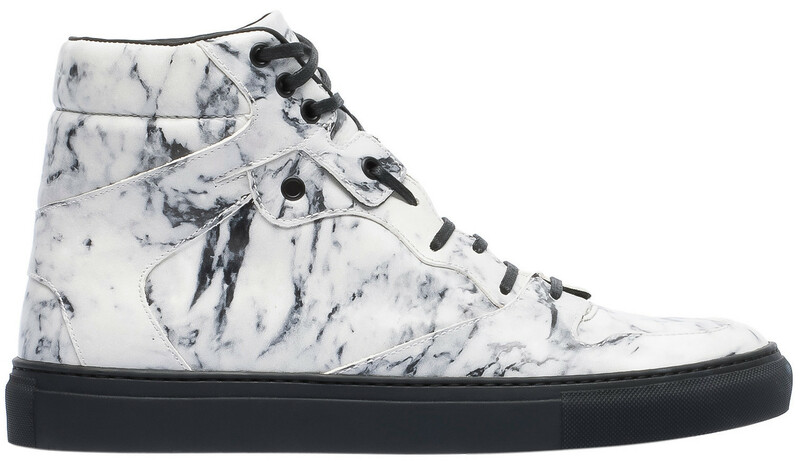 Next come the Balenciagas, which arguably made the marble trend on the Paris runways last year. 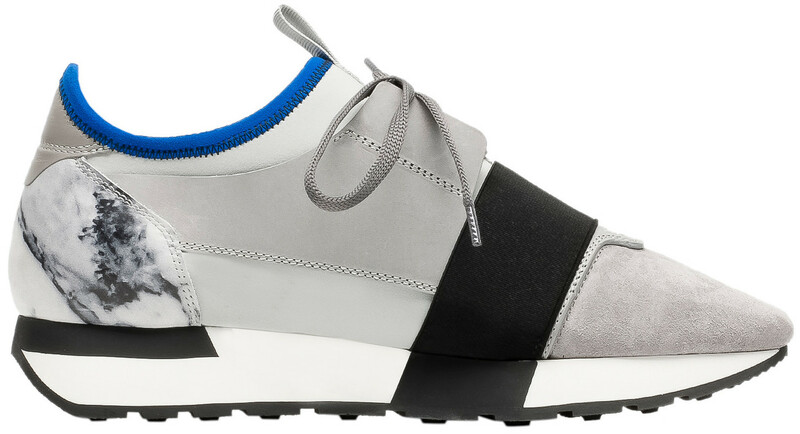 The clunky high top ($665) has been the fashion world's darling this season, but I prefer the sleeker slip ons ($625) and Race Runners ($655). Until these go on major sale, though, it's not happening. Senso's Avery V ($174) in marble leather looks like a good choice, but I've tried on other sneakers by the Australian brand, and the fit wasn't quite right for me. I absolutely adore these Stefania printed leather oxfords by Charlotte Olympia ($312 down from $782)! The gold trim, the menswear styling, the amazing sale price—what's not to love? But the fact remains that they're not sneakers, which is what I actually need for an upcoming vacation. OK, so they're not marble, but in every other way, these New Balance for J.Crew 620 sneakers ($80) are pretty perfect. Despite the lack of pattern, they're looking like a pretty strong contender. So help a girl out! Which should I choose, if any?